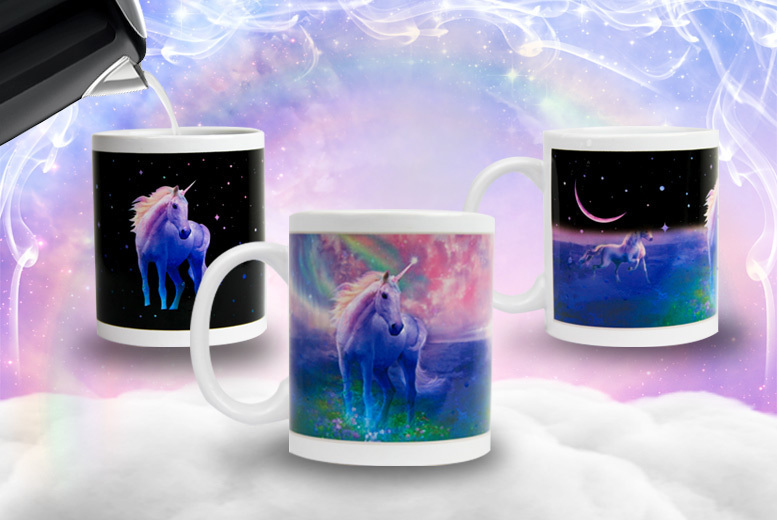 Get a colour-changing unicorn mug. The design changes as if by magic! Shooting stars appear when filled with hot liquid. Dimensions: H 12 x W 8cm.